The consultation on our 2019 to 2022 draft Business Plan ran from 3 December 2018 to 4 February 2019, receiving 17 formal responses. We have considered feedback and made appropriate changes to amend the document since the draft was published. Work is about to start on a milestone development to create a new marina at Stornoway as part of an ambitious long-term vision for the town's harbour. The Port Authority revealed that firm RJ McLeod Contractors Ltd has won a £5 million contract for the marina which will be the anchor project on the site as part of its 20-year Master Plan for the harbour. The delivery of public sector services in four Highland areas is to undergo a "dramatic transformation", said Capita, thanks to a project that will bring full fibre infrastructure to the region. As part of Capita's Scotland-wide SWAN programme, the project will bring “transformational and future-proof” gigabit-speed services to schools, libraries, offices, hospitals, health centres and university campuses. First step to tackling shortage of wheelchair accessible homes. Local authorities will be required to provide wheelchair accessible housing across all tenures and report annually on progress. Whether it's a day of pampering and relaxation or one of adventure and activities, Mother's Day is always the perfect opportunity to remind mums how special they are. 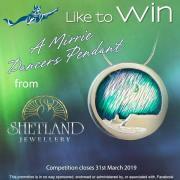 As sons and daughters travel this weekend to see their mums, NorthLink Ferries is helping those still searching for that perfect gift by offering the chance to win a beautiful handmade pendant from Shetland Jewellery. Communities across Scotland will benefit from new support to tackle climate change and embrace the transition to a carbon-neutral society. The latest round Climate Challenge Fund for 2019-21 will support 87 projects. Week Commencing 25th March 2019 SpaceHub Sutherland: The team's weekly presence in Tongue continued this week, and June Love from the team also delivered a presentation on the project to members of the Thurso & Wick Trades Union Council at its meeting this week. I attend all of the Trades Council's meetings, so it was good to hear the unanimously positive reaction to June's update from members (see Communications below for feedback on my discussion with members). Equivalent of 74.6% of gross electricity consumption was from renewable sources. Renewable electricity generation in Scotland reached record levels in 2018, the latest figures from the Department for Business, Energy and Industrial Strategy (BEIS) show. Architects have been appointed to design the spaceport that is being developed to launch small satellites from the Highlands. Development agency Highlands and Islands Enterprise (HIE) is leading the £17.5m Space Hub Sutherland project, including a £2.5m grant from the UK Space Agency (UKSA). Plans for an elective care centre which will serve the population of the North of Scotland will now be submitted to the Scottish Government after the NHS Highland Board on Tuesday 27 March 2019 approved the full business case. The elective care centre will offer a best in class delivery of knee, hip and cataract surgery as well as the full range of ophthalmology outpatient services. At this time of year there is a lot to do for employers setting up the systems fro the new tax year and completing the forms for the end of the tax year. HMRC these days provides a lot help online and here are a few links issued recently. 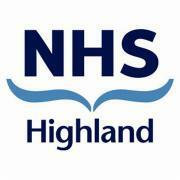 NHS Highland's annual review has been rescheduled for the 25th April 2019 at the Culduthel Christian Centre in Inverness with Jeane Freeman, Cabinet Secretary for Health and Sport, in attendance. The date has been rearranged from the 9th April due to the recent appointment of Professor Boyd Robertson as the new interim Chair of the health board. Following an investigation involving Highland Council Environmental Health Officers, a Lochaber based shellfish company has been prosecuted for food safety offences. 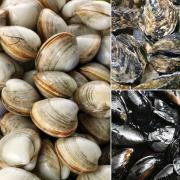 Acharacle based GC Shellfish Ltd pled guilty at Fort William Sheriff Court on 25th March 2019 to two charges relating to the company accepting live bi-valve molluscs and handling live marine gastropods without the necessary documentation, both contrary to the Food Hygiene (Scotland) Regulations 2006. 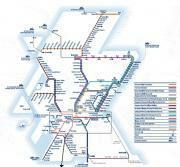 Birnam to Tay Crossing community events. Residents of Dunkeld and Birnam and users of the A9 can for the next two days see first-hand the work that has taken place since the co-creative process identified a community option last summer for the Pass of Birnam to Tay Crossing dualling scheme. A programme of proposed railway projects aimed at sustaining investment in Scotland's Railway has been unveiled at an industry event on 26th March 2019. The Rail North of Border Conference saw almost 300 rail experts, including the supply chain, gather in Glasgow to look ahead to the next the next rail funding period (Control Period 6: 2019-2024). The two freight ferries that serve the Northern Isles network have been purchased by the Scottish Government. Sister vessels, the MV Helliar and MV Hildasay, operate on the lifeline routes from Aberdeen to Kirkwall, Orkney and Lerwick. Energy Efficient Scotland: the future of low carbon heat for off gas buildings - call for evidence. The Scottish Government is seeking evidence on technologies and actions necessary to support the decarbonisation of the heat supply of buildings that currently do not use mains gas as their primary heating fuel. More people across Scotland will be able to use ultra-low emission vehicles thanks to a £510,000 investment from the Scottish Government. The Plugged-in Households Grant Fund will support eight housing associations across Scotland to procure the services of car clubs. Incomes from commercial farms in Scotland have gone up in 2017-18, however the latest annual figures shows that agriculture is still dependent on farm subsidies. The average farm income has risen 19 per cent to £35,400, the highest level over the last six years.